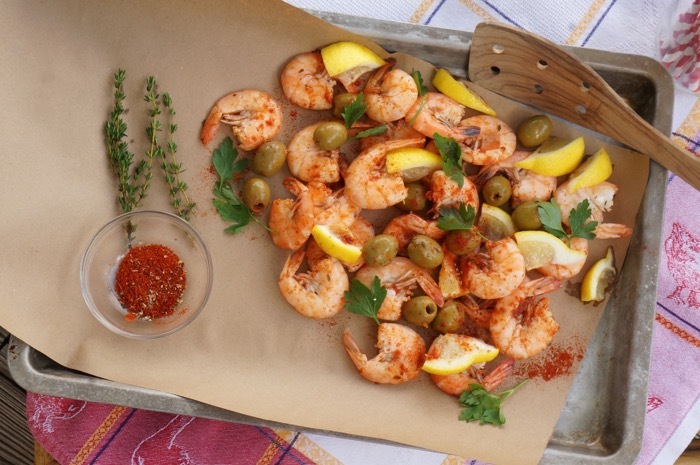 LOW COUNTRY BOIL…SHRIMP OR CRAWFISH? 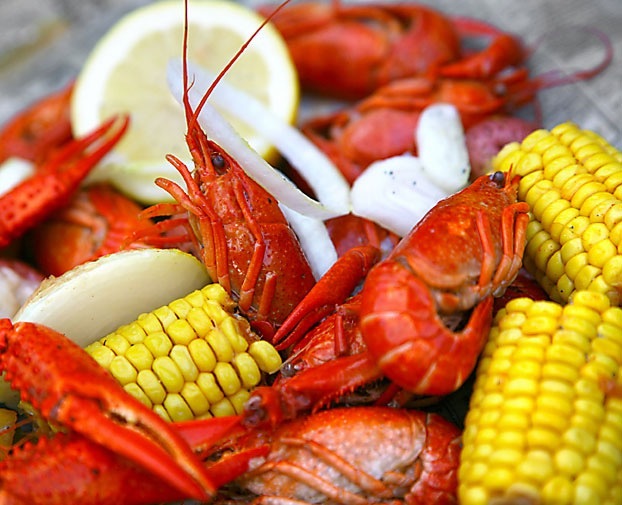 Seafood Boils go by many different names depending on which part of the country is serving this American tradition. It’s called a Low Country Boil or Tidewater Boil on the southern coasts of South Carolina, Georgia and Florida. These always include fresh-from-the-water shrimp. 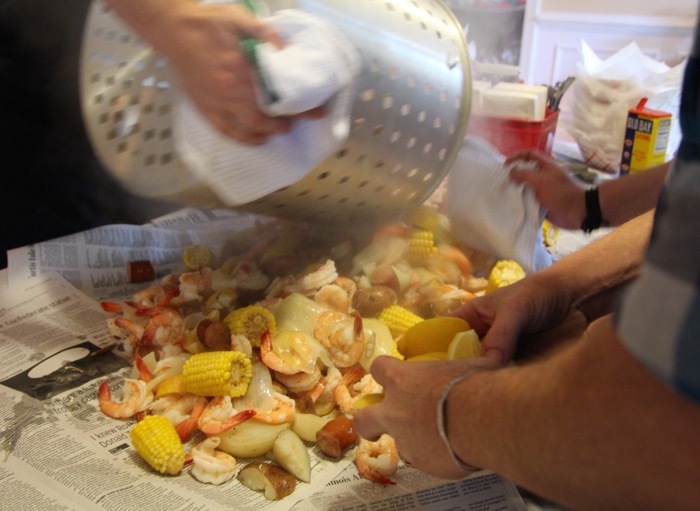 Frogmore Stew is also a seafood boil, named after the community of Frogmore on St. Helena Island, South Carolina. 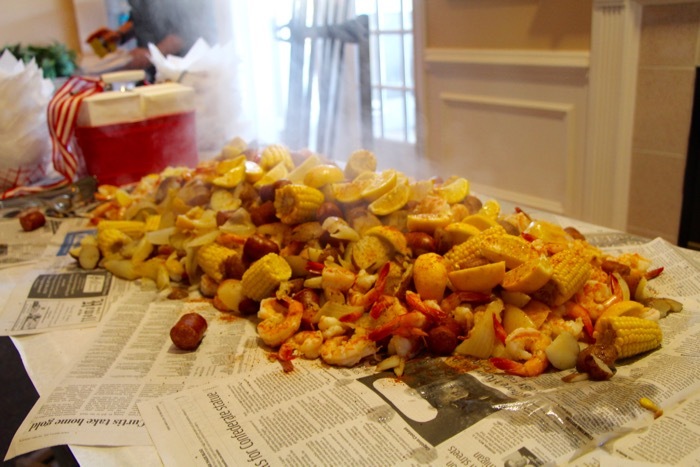 Some may be confused with the term stew, because as in the lowcountry boil, the ingredients are drained and served on newspaper…and can be eaten with your hands. In Louisiana, crawfish boils are the rage during Spring, especially right after Mardi Gras time. After reading a fun article in the March issue of Coastal Living, “A Boil In The Bayou” by Barton Seaver rhapsodizing over crawfish or “mudbugs”, I woke up in the middle of the night startled by a dream’s image of a giant crawfish clawing and laughing at me. Crawfish look like miniature lobsters and also turn red when boiled. My dream probably resulted from Seaver’s description of how to eat a crawfish. “Snap the head away from the body, and if you’d like, squeeze the juices from the head into your mouth. (The flavor is pure essence of the South!). “Discard the head and use your thumb and forefinger to peel the shell back and pop the meat from the tail.” No thank you!! Get your fresh crawfish from the Cajun Grocery. 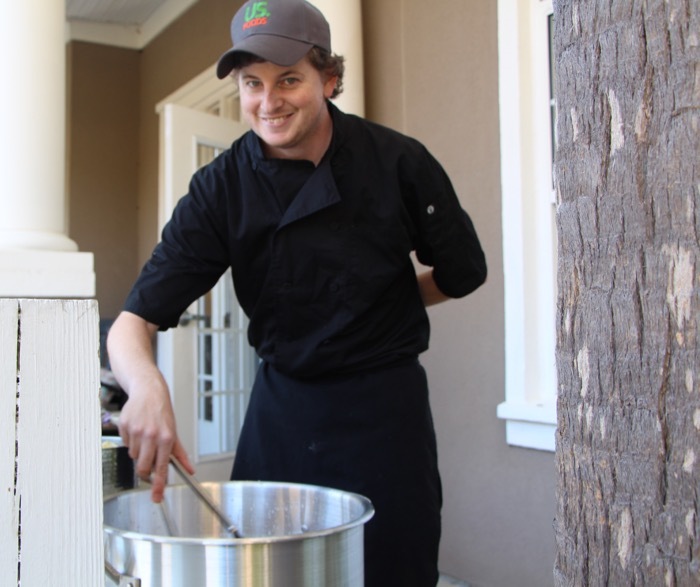 The common denominator of the seafood boil… use the freshest seafood available and most low country boils include sausage, potatoes, corn on the cob, and a spicy seasoning mix such as a crab or shrimp boil. I like to add beer to the water during boiling. 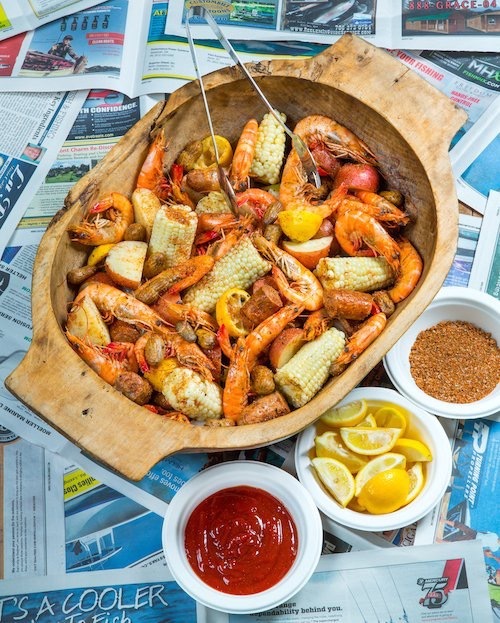 The beauty of the low country boil…simplicity…a one pot meal…served outside on newspapers, on a picnic table. The mess out of the kitchen! 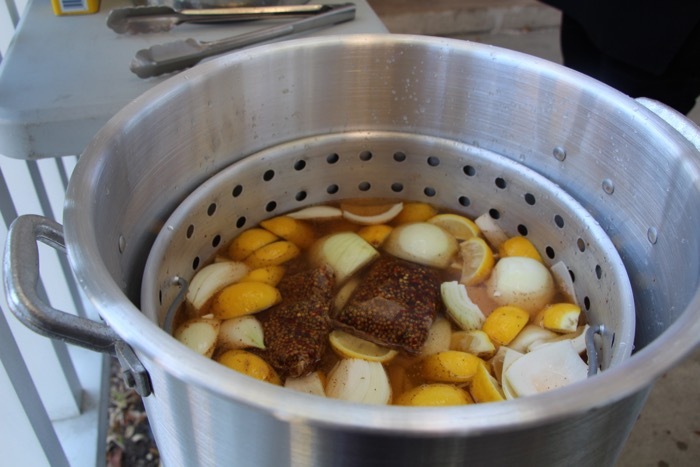 Bring a large pot of water to a simmer on stove, or grill at a tailgate. Add beer, Old Bay Seasoning and simmer to meld the flavors. Add potatoes, sausage and onions, and lemons. Simmer 15-20 minutes. Add corn and simmer about 5 minutes. Add shrimp and cook 5-6 minutes until they turn pink. Strain solids and serve on a large platter or on newspaper if at a picnic or tailgate. Serve with soft rosemary butter or olive oil with herbs for the potatoes. A few drops of hot sauce and a squeeze of lemon never hurts. Try adding green olives or 2 jalapenos, sliced lengthwise if desired. Dave and I recently attended a low country boil given by Babette and Al at Opsprey Village. What fun! 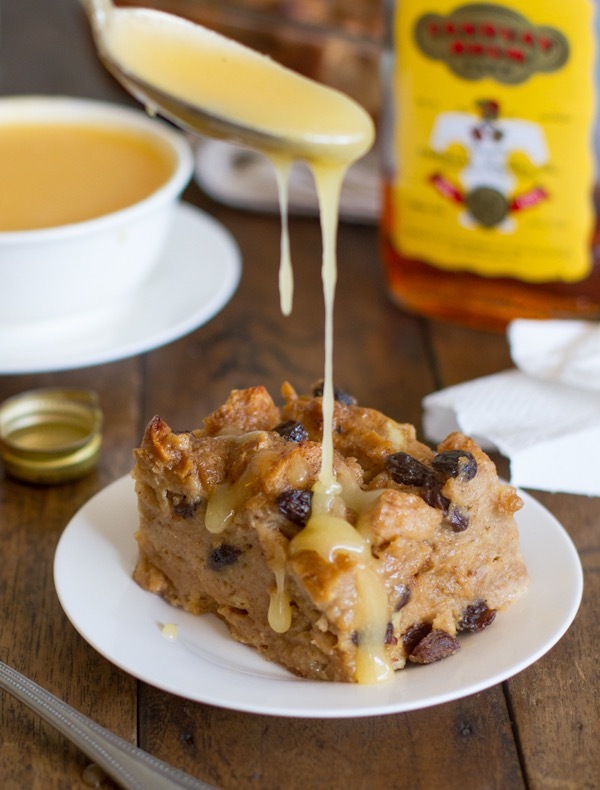 Many Low Country Boils end with Bread Pudding for dessert. 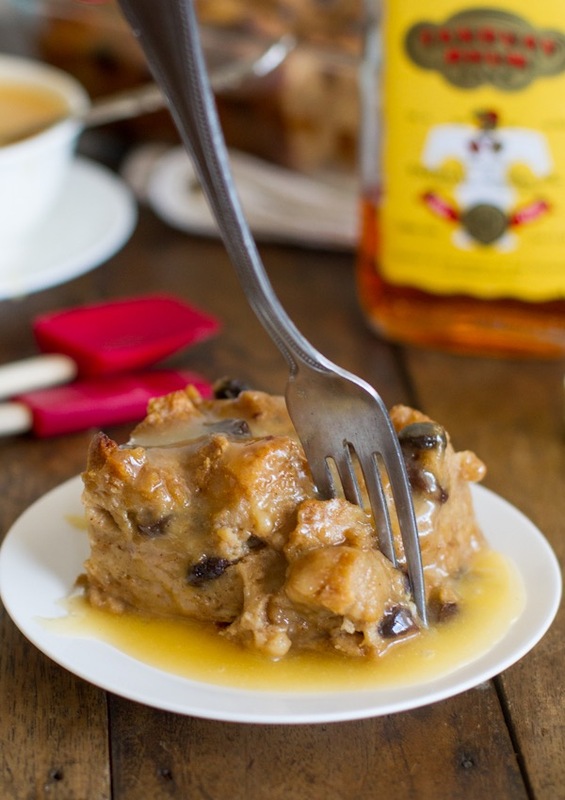 Pinch of Yum’s Bread Pudding with Hot Butter Rum Sauce. Pinch of Yum is one of my favorite food blogs and I am always finding great recipes here. Photos courtesy Pinch of Yum. Grab a Napkin, Grab a Spoon! Hope you will make it to a low country boil this summer! August will be the month for lobster boils and clam bakes as we head to Maine. Come celebrate with me. I’ll save you a seat at the (picnic) table. Amazing pictures. Making me very hungry! Thank you Bob. 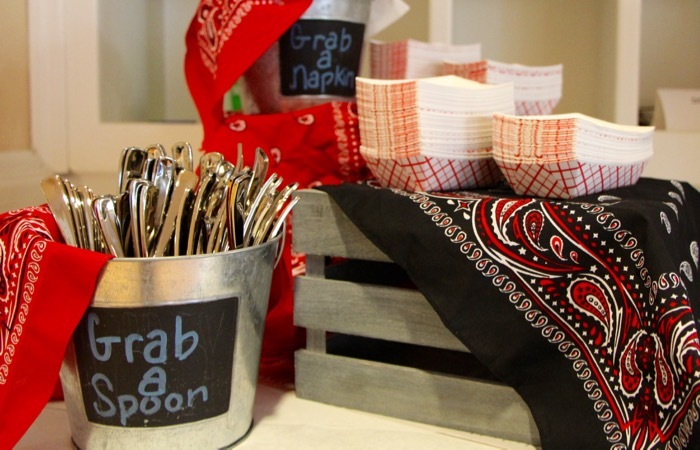 We had fun at this low country boil. The shrimp were local and delicious. Still not sure about crawfish and their heads! Ready to get back to Florida for some Mayport Shrimp!